I am posting about this problem just to increment count of pages which are referencing the solution. No others were facing this among the team. Only her. Don’t care about hungarian error message, let’s see the NetException: Undefined Error during negotiateConnection() call. If You try to google around You will find virtually nothing about this message. Each time I realize such a result I am going to think that we are doing something wrong. Few or no search results used to mean that nobody facing such a problem because nobody does things in the way we have done. So our way is bad by design or just having a trivial bug what nobody implemented before. But this time my intuition was wrong. The above considerations may lead to few google search results too. The problem is a real problem, because only few people were holding combinations where these aliens meet a software which have bug about this. A bug like Oracle’s #12744662. Oracle JDBC driver is using user.name property for some reason which on Windows equals to username stored in environment variable %USERNAME%. Windows default install uses full personal name for username. My colleague has characters of above kind in her name. Solution was found on a russian forum https://www.sql.ru/forum/1256595-3/net-podklucheniya-k-oracle posted by user 0FD. All credits going there. Yes, this was one of google’s few search results. I just solved a Db connection problem which has to be posted here. But before I do it I must to say something why wasnt posted anything on this blog for more than one year. Dont be afraid, nothing happened to Your favorite blogger just I was working hard. As You may noticed before I dont have an internal force which pushes me to write daily just for fun. This blog intended to be a place for interesting things I meet during my IT related work. If no such things happen there will be no posts here. If I cannot collect enough information to tailor a full post to You there will be no post too. If I cannot allocate a time slice or can only take it from my family there will be no posts too. Just checked time entries in our Redmine system what was I doing meanwhile. I only saw lots of contributions to our legacy systems. However some noticable things raised but neither were a kind of minute-related things. They were not Problems which had a Solution. I am having a philosophycal-practical notion about automatized software testing which I built up during daily practice of TDD. I am experiencing with Arduino and having small projects related to toys my children have. I am influenced with Java now. Sometimes people change their mind and feel better when a parameter named green gets its name changed according its meaning in code, e.g. isProceedingAllowed. We all know that this is a kind of simplest refactoring steps improving code readablity. Why not to do it? It shouldnt break anything, it can be done even manually because parameter name scope is local to the method and if we keep rule of short and overviewable methods then it is a simple task. But we can make a big mistake. Renaming a parameter of an old-fashioned ASMX webservice method will break the SOAP contract resulting in magic problems! If I would rename the parameter from Hungarian notation to smsNumber that parameter value would be always null until the callers refresh their access code or proxies to reflect change in WSDL we triggered via this rename. And these callers may spread around the whole world or simply sit at one hardly moving client, so the refresh wont be possible in acceptable time (people live only 70-80 years). That null can be really anoying. Your webmethod may have other parameters which all get their right values from the caller, but the renamed one gets nothing. Without any signs of error. In not-so-often-used situation You may already forget about the rename and only get the issue ticket about some missbehaving service which throws NullReferenceExceptions with deep stacktraces in Your business logic (eh, You didnt read my article about Method implementation pattern? That exception must be thrown at all public entrypoints!). After checking the caller that it is really transmits that parameter value, and after checking that Your code really forwards it well You may think about communication related things. System.Web.Services.Asmx Warning: 0 : Az adott kontextusban egy nem várt <strSMS xmlns='http://tempuri.org/'>..</strSMS> elem szerepel. A várt elemek: http://tempuri.org/:smsNumber. So how can we handle this? But the result dont helps to much: our webmethod will be okay with the new name, but all the callers may use only the obsolete one. No fallbacks, cannot use multiple names for a parameter. There is a XmlChoiceIdentifierAttribute which – according to its AttributeTargets may be used on parameters too, but I couldnt figure out how. All examples are about classes and their members not method parameters. Here came the SoapExtensions in the picture. You can chain Your code into SOAP request-response (yes, must into both of them) processing. Searching the net for SoapExtension You will find some examples and quickly realise that they are almost the same: how to log the contents of incoming and outgoing SOAP messages. But we need to modify those messages which isnt well documented. Even MSDN article named “Altering the SOAP Message Using SOAP Extensions” has only that logging sample which is the root of all other samples I mentioned before I think. This is the reason of this post. It took hours to figure out how it works and how can I achive my goal here. // here are we doing the magic! First You must understand the thing about ChainStream method and the streams around it. All samples mention them as oldStream and newStream but that isnt correct. Our extension fits inside other extensions in some order. Our input is the output of an other extension or the framework itself and our output will be input for yet another one. And there is a twist: in response processing these steps occure in reverse: the stream which was output before becomes our input now and vica versa! So the old/new or input/output distinction is very misleading thats why I call them streamChainedAfterUs and streamChainedBeforeUs. According to this usage we should always care about our stream position so the next processing entity can find it at right place. Between public methods the ProcessMessage is the important one. All others are described in documentation and has kind of infrastructure rules. As I mentioned before when we write a SoapExtension we must participate in both of request and response processing. Thats the reason of the simple Copy step in ProcessMessage implemetation. The solution to our problem can be found in UpdateMessage method. We parse the SOAP message, we look for obsolete parameter name and replace it with the current one if found. Thats all. As a result our webmethod has a “good” parameter name (at the time of this writing, hehehe), generates WSDL with that name, BUT accepts calls with all the obsolete names too! What happens when the programmer gets no info on time? Assembly 'MyAssembly.dll' does not contain any types that can be serialized using XmlSerializer. Please use /verbose switch for more information. 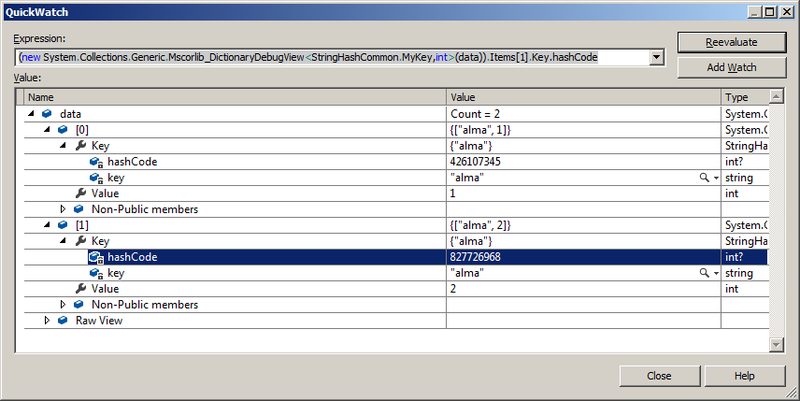 Assembly 'MyAssembly.dll' does not contain any types that can be serialized using XmlSerializer. Author clyPosted on January 12, 2017 Tags .netLeave a comment on What happens when the programmer gets no info on time? This is a really short note. I made the change below to workaround this. Now the requests going to the proxy. I didnt found any other solutions on the Internet. This may mean that there is a trivial point somewhere for this setting which I didnt found or nobody used before that SDK behind proxy?